A wonderful summer evening in Tewkesbury was the setting for our concert in the historic Abbey, Rejoice and Be Glad. Amongst a richness of choral works, Gerald Finzi’s ‘Lo, the Full Final Sacrifice’ was the most substantial piece. 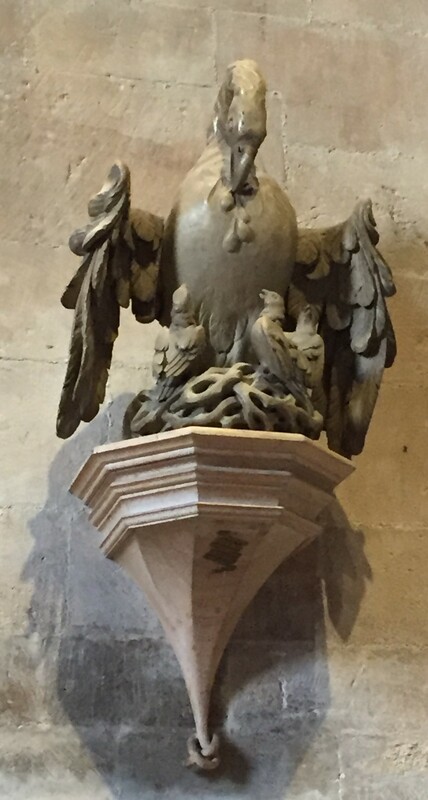 Choir members were intrigued to encounter the sculpture of the metaphorical ‘self-wounding Pelican! Whose breast weeps Balm for wounded man.’ This is part of Crashaw’s version of St Thomas Aquinas’ hymns. Unusually, we have had the opportunity to sing this work three times this year – in the Stephansdom in Vienna, in Symphony Hall and in Tewkesbury Abbey. We were lucky to be accompanied on all three occasions by our excellent organist, Paul Carr. Now for a summer break before rehearsals start again in September. 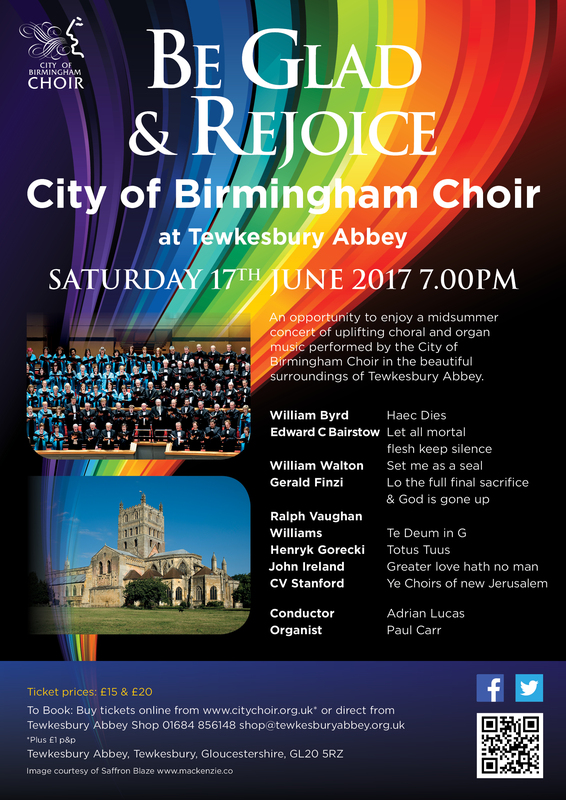 Be Glad and Rejoice at Tewkesbury Abbey! 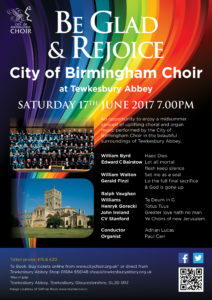 We are looking forward to our delightful concert at Tewkesbury Abbey on Saturday 17th June. A feast of choral music in glorious architectural surroundings. Tickets still available. Read more here. We hope you will come and join us for this eagerly anticipated evening.